Paul Hewitt watches have been designed to create iconic, stylish timeless watches and jewellery in an elegant style. Combined from British elegance and the North German understanding of quality. Paul Hewitt take a lot of time to perfect combination of fine materials and elements into their watches and jewerllery with their signature anchor symbol. Their designs vary from classic style, to fashion while staying true to their roots. All the Paul Hewitt collections Miss Ocean Line, Sailor Line, Grand Atlantic Line and Chrono Line are all designed to pay particular attention to genuine craftsmanship. Prices currently range from £115.00 currently up to £250.00. All watches and jewellery come complete in a beautiful Paul Hewitt styled black presentation box. As an Official UK Stockist of Paul Hewitt, Tic Watches stands by all of the Paul Hewitt timepieces that we stock which come with their authentic packaging, and that each timepiece comes with a two year manufacturer's warranty. If we do not have the Paul Hewitt watch or jewellery that your interested in, please send us an email at customerservice@ticwatches.co.uk or give us a ring on 0844 357 0427, and quote the model number of the watch or jewellery you wanted, and we will locate it for you. Why Buy Paul Hewitt Watches From Tic Watches? Paul Hewitt have been designed to create iconic, stylish timeless watches and jewellery in an elegant Nordic style. This collection of stylish watches is available in a choice of different colours with attention to detail and made with high-quality materials, such as stainless steel, brass, nylon or leather. The is made of 925 sterling silver and stainless steel,which are available in either silver gold or rose gold. 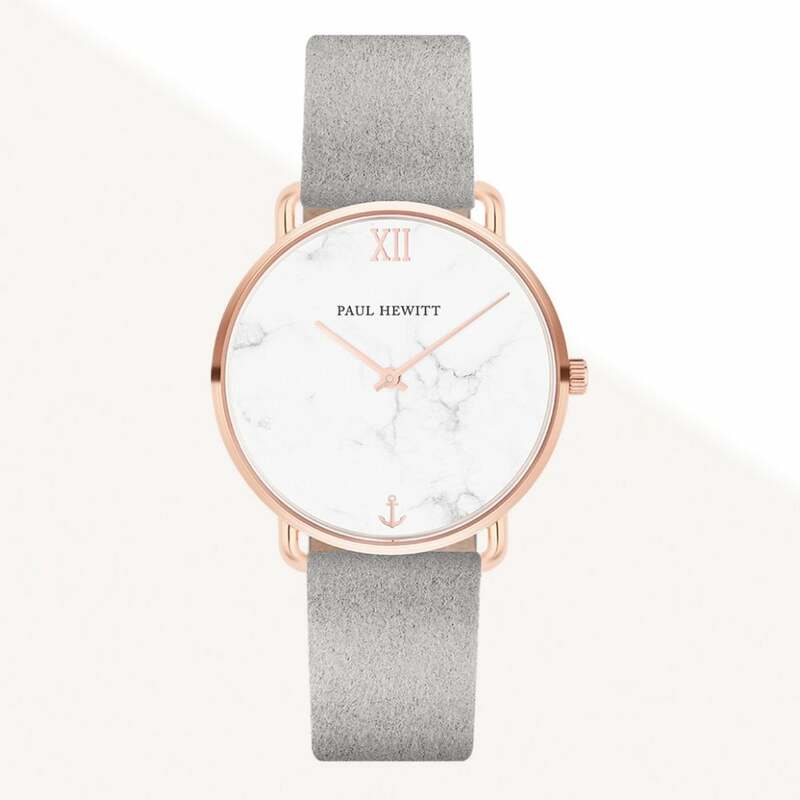 Paul Hewitt watches and jewellery are growing in popularity with both men and women who want a stylish watch that can be worn on all occasions. Each piece of Paul Hewitt watch or jewellery has their signature anchor symbol on, this is a sign of where Paul Hewitt are anchored in North Germany. At Tic Watches, our collection of Paul Hewitt watches and jewellery pieces are available at great prices, making this watch brand extremely popular with our customers.